Times marches on..Just a few years ago Chef Ferran Adria was on the cover of every major and minor food medium, and the deconstructionist cuisine he pioneered, more commonly known as molecular gastronomy. In the post-Adria/decostructionist era, Chef Rene Redzepi's style of modern-Nordic cuisine has sent more chefs of the current generation foraging into the woods than college drama majors by Steven Sondheim. Chef Alex Atala, bringing Brazilian ingredients and heritage to São Paulo's D.O.M. What's next? Well, let's all agree that there has to be a next, and I believe--reading the writing on the wall--that Brazilian cuisine, and Chef Alex Atala are the next thing. Adria had pegged Peruvian as the cuisine to watch along with his dreadful Lima Declaration speech (rightfully checked by sir Jay Rayner), and regional Mexican and Asian cuisines will continue to occupy our minds and dining experiences here in L.A., but Brasil--Brasil through the brilliant hands and products at Chef Alex Atala's D.O.M. in São Paulo! Part of this focus will be because of World Cup(2014) and the Olympics(2016). The next big thing will be ingredients--which is the one thing I hear most chefs talking about the most--it's the most important thing, and all chefs are highlighting their local treasures more than ever. Yet, the elite position of Pellegrino's No. 1 restaurant in the world hasn't been based on ingredients. 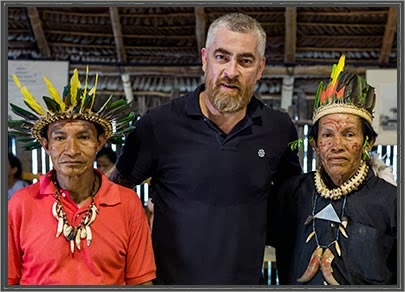 Brazil just happens to have some of the most interesting products in the world and Chef Alex Atala is heading to the reaches of the Amazon, working with indigenous communities to form cooperatives. 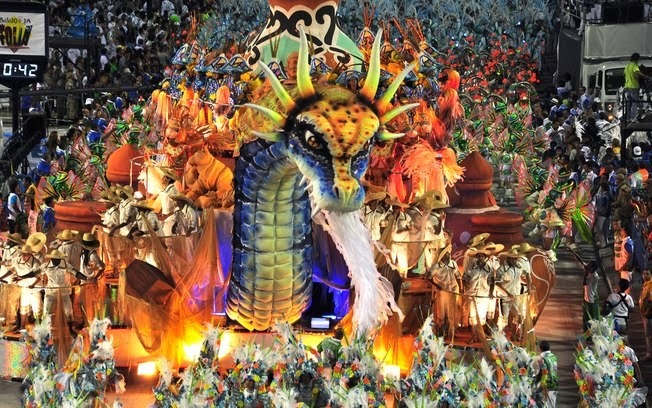 That along with the undiscovered regional cuisines in Brasil--26 states have their own distinctive cuisines--and Atala is working hard in his kitchen(not all chefs on the circuit bother to be in their kitchens), and just as hard on the media circuit. Moqueca de camarão, shrimp moqueca at Moqueca in Oxnard. 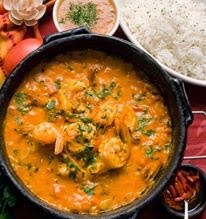 We'll all learn more about it as 2014 moves along; until then--check out one of the greatest regional Brazilian restaurants in the U.S., Oxnard's Moqueca, for Espiritu Santo cuisine, in my latest for Los Angeles Magazine Digest.